Doraemon is one of those Japanese institutions that has never quite translated overseas. A blue cat with a pocket that gives him access to anything he might imagine, Doraemon and his group of lovable child buddies gave gone on innumerable manga, anime, and film adventures, as well as a whole bunch of games... almost none of which we've seen in the west. I'm a big fan of Doraemon, though. I've even been to the museum dedicated to the creator of Doraemon, Fujio Fujiko. It's every bit as interesting as culturally relevant as the Studio Ghibli museum, with a fraction of the crowds. The latest Doraemon game sounds like one of the best concepts we've seen yet. 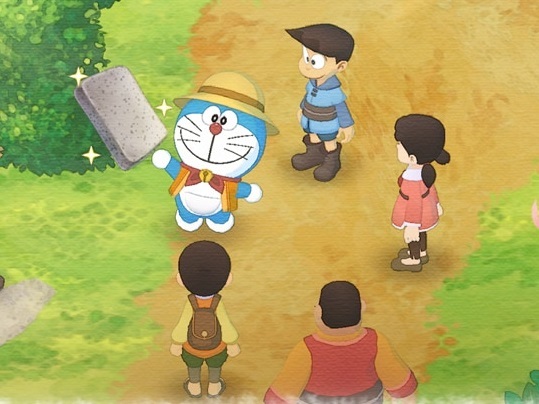 Doraemon mixed with Story of Seasons means that you get all the delightful farming and interactions as the spiritual successor to the Harvest Moon franchise, plus the blue cat and all his recognisable buddies. As with all licensed tie-ins, Doraemon has had his share of terrible games, but if there's ever been one that I'll not have the slightest hesitation in importing, it will be this one. The game releases on June 13.